AMORA Beauty Studio works exclusively with Borboleta Beauty products providing industry leading faux synthetic mink lash extensions. All services will be done with their high quality products and formaldehyde free adhesives.There are several lash curls and styles for your eyelash extensions. AMORA Beauty Studio will provide a consultation to our clients to discuss your wishes, expectations, and provide you with a unique and personalized set of lash extensions that enhances your face and eye shape without harming your natural lashes. A classic lash set is the application of one lash extension to one natural lash. This is perfect for anyone who wants a natural but noticeable look. Similar to a mascara look without the mess. 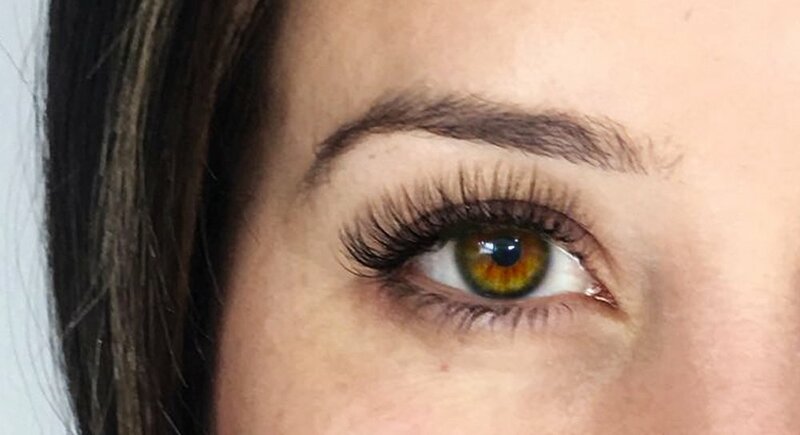 A volume lash set is the application of individual lash extensions that are handcrafted into fans for each and every lash to create a full and dense look. Each set is customized with different lengths and curls to fit your facial features. This is perfect for those who love the glamorous look. Volume can also assist those who do not have many lashes and need some assistance. Lash Removals take up to thirty minutes depending on how many eyelash extensions you have remaining. A lash extension remover is applied for removal and does not harm the natural lashes. Outside lash removals are welcomed. Already booked? Prep & Prime for your lash appointment. Read instructions below so you can be lash perfect! Plan to arrive 10mins early to your appointment if you need to remove eye makeup. We can supply you with makeup remover. There must be at least 40% of lashes remaining for it to be considered a fill. Anything less is considered a full set, and a full set price will be charged. Cancellations must be done at least 24 hours prior to your scheduled appointment. Notification given less than 24 hours prior to appointment time will result in a 50% charge of the scheduled service. Failure to show to your scheduled appointment with no notification will result in 100% charge of appointment.